Memoirist and poet Maya Angelou, "whose landmark book of 1969, I Know Why the Caged Bird Sings--a lyrical, unsparing account of her childhood in the Jim Crow South--was among the first autobiographies by a 20th-century black woman to reach a wide general readership," died yesterday, the New York Times reported. She was 86. In a statement, President Obama said, "Today, Michelle and I join millions around the world in remembering one of the brightest lights of our time--a brilliant writer, a fierce friend and a truly phenomenal woman.... She inspired my own mother to name my sister Maya." The Los Angeles Times noted that before she wrote her first book, Angelou "had already pulled off several stunning acts of personal reinvention. The St. Louis-born daughter of an Arkansas sharecropper family, Angelou had been a streetcar conductor, teen mom, a fry cook, a professional dancer, an actress, a journalist and a playwright (more or less in that order)--all before she turned 40." By the time I Know Why the Caged Bird Sings was published, she "had transformed herself into the consummate cultural networker, bridging the worlds of art and political activism." 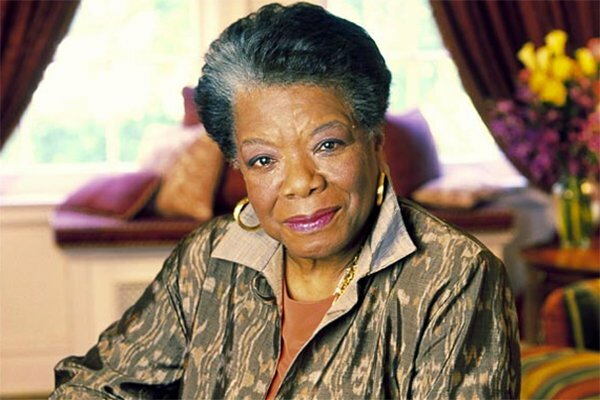 Nathan Hatch, president of Wake Forest University, where she had been the Reynolds Professor of American Studies since 1982, said, "Maya Angelou has been a towering figure--at Wake Forest and in American culture. She had a profound influence in civil rights and racial reconciliation. We will miss profoundly her lyrical voice and always keen insights." Oscar Dystel, longtime CEO of Bantam Books, died yesterday. He was 101. Under Dystel's leadership in the 1950s through the 1970s, Bantam became a mass market powerhouse and published, among many other titles, Exodus by Leon Uris, Valley of the Dolls by Jacqueline Susann, Dr. Atkins' Diet Revolution, Jaws by Peter Benchley, The Exorcist by William Peter Blatty and the many bestsellers of Louis L'Amour. The New York Times noted that one of Dystel's "boldest initiatives was writing, packaging, printing and delivering books in what was then an incredibly short time. In 1964, Bantam turned out the complete text of the Warren Commission's report on the assassination of President John F. Kennedy--with several original articles by the New York Times--just 80 hours after the report was released. It sold 1.6 million copies at $1 each (about $7.65 in today’s money)." Dystel was, as Penguin Random House noted, "one of the great architects of modern trade publishing… a mentor and muse for innumerable authors and past and present colleagues of ours throughout publishing. He was a giant, who shaped our potential and our legacy."